The best is yet to come. Express your undying love for your partner with a ring that lets them know there's no one else you would rather be beside on life's journey. 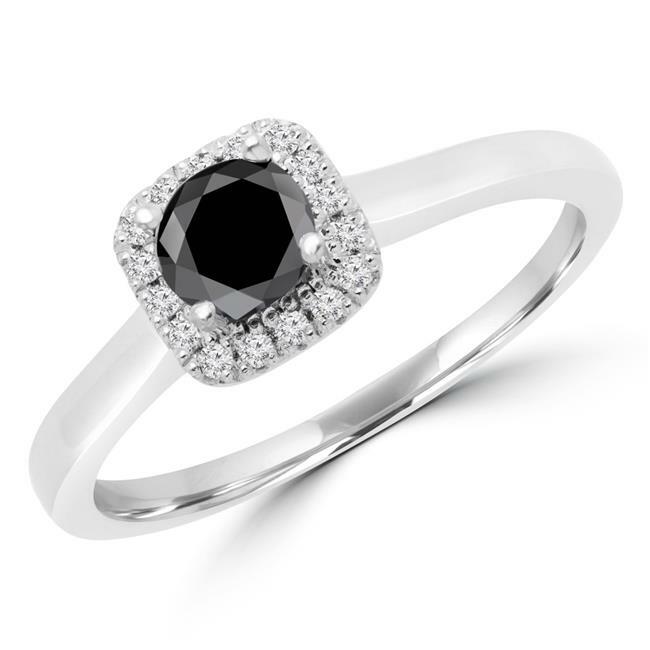 This breathtaking black and white diamond engagement ring is the perfect symbol of the love you both share. Give your partner a ring that combines soft sophistication with bold style. This gorgeous 1/2 CTW Round Black Diamond Engagement Ring features a triple AAA black diamond at the center, surrounded by elegant 0.07 CTW white diamonds in a halo formation. The white accent diamonds have a VS1 VS2 clarity rating and F G color. A beautifully polished 14K white gold band gives this exquisite ring additional shimmer.